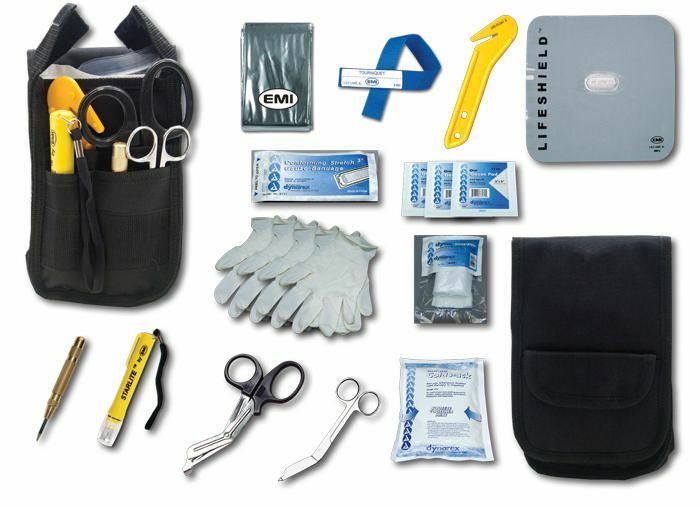 EMI has combined essential rescue equipment with critical medical supplies and equipment needed by the rescuer who is first on the scene. Extrication, Bleeding, CPR, etc. With RESQ-Med™ users are able to handle extreme conditions in the first few minutes of a rescue. The specially designed over-sized holster includes a front pocket for gloves, a water-repellant main compartment, and several instrument compartments. It is made of 1000 denier nylon with a quick release, Velcro-type belt loop. It fits belts up to 2.25" wide. The holster measures 21.6 x 12.7 x 6.9cm (8.5 x 5 x 2.75").